Malea Guiriba has become a folk hero – an example of what one person can do to change the world: one house, one person, and one day at a time. She’s had careers in real estate and journalism, but it is her activism that has touched hearts and changed lives. Malea has been a passionate worker in the civil rights and domestic violence movements, always embracing the disenfranchised and poor. While working with the domestic violence shelter in St. Augustine, she took a post as Rural Services Coordinator in the small farming town of Hastings. She built her program from scratch by embedding herself in a community, which was long ago divided by race, class, and economics. Malea was inspired by two middle aged African-American men who had essentially been enslaved as farm workers for most of their life. Their experiences awakened her to a need she never imagined existed: helping the historically underprivileged Hastings farm workers. She and others were shocked that one of Florida’s richest counties could be the site of such inhumane treatment. It became her mission to provide basic needs to families including healthcare, as well as safe and affordable housing. The program became a focal point of the community, but suddenly was without the grant funding that kept it going. Malea was suddenly unemployed, yet determined to continue the work she had begun. Her answer was to open Pie in the Sky, a pie shop symbolizing what someone called her “pie in the sky” ideas about how to help people. Two months after she cleaned out her office, she served her first pie – a real achievement, considering she’d never baked a pie in her life. She’s since sold more than thousands of pies in just under two years. She’s helped by delivering furniture to a family that lost its home to fire, buying dentures for a man to build his confidence while he focused on finding a new job, riding in the potato fields to take a man to his doctor’s appointment, building wheelchair ramps, running a food bank and taking food to homebound low-income senior citizens and much more. The work Malea has accomplished, continues to inspire others and to grant the gift of giving to the volunteer workforce. Her mantra is, “No one can do everything, but everyone can do something.” Whether she is selling pies, delivering food as a mobile pantry, or wielding a power saw to help build a ramp, Malea sets the example for those around her and spreads her goodwill, her can do attitude, and passion for helping wherever she goes. As a Registered Nurse I learned the value of good assessments, listening, seeing and caring for individuals with respect for their needs, their stories and their circumstances. Through additional training I have enhanced my skills to help and serve others—meeting and caring for them “where they are” in their lives. My training and experience also prepared me to start the Parish Nurse Program at my church in Ct. As Parish Nurse I was teacher, facilitator, advocate and made referrals for members of my congregation and community. 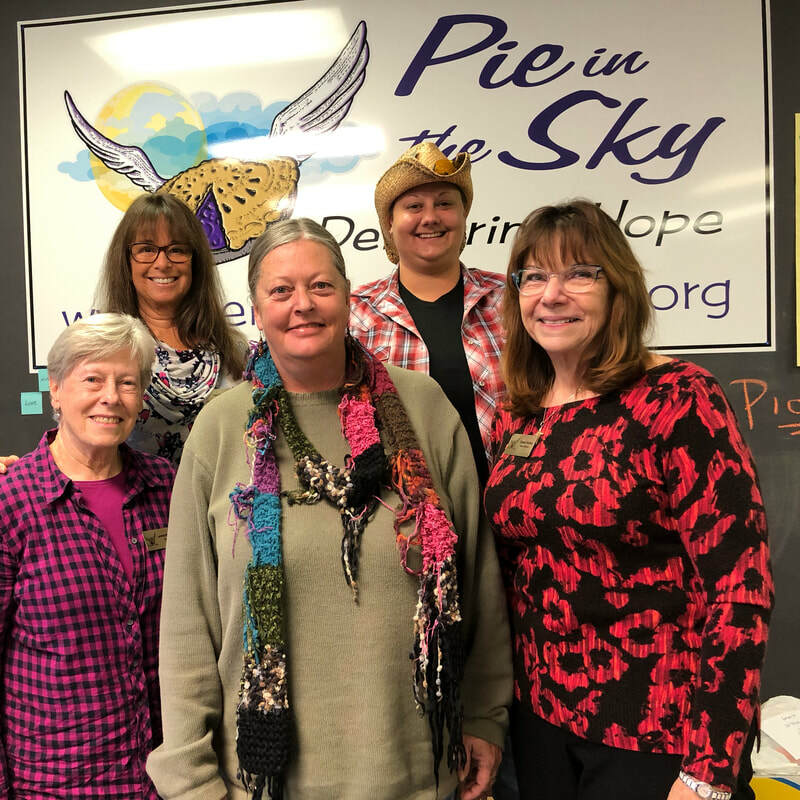 Coming to Florida I volunteered as a pregnancy counselor before turning energies to helping the farmhands and people in need through my work for Pie in the Sky (PIE). I was introduced to PIE through my church. What greater cause than the mission of “bringing HOPE to those thinking they have been forgotten”. My participation at the weekly food pantry helped me better appreciate the needs of the farmhands and those in poverty. Although the food pantry had to shut down, Malea (Director of PIE) did not give up. 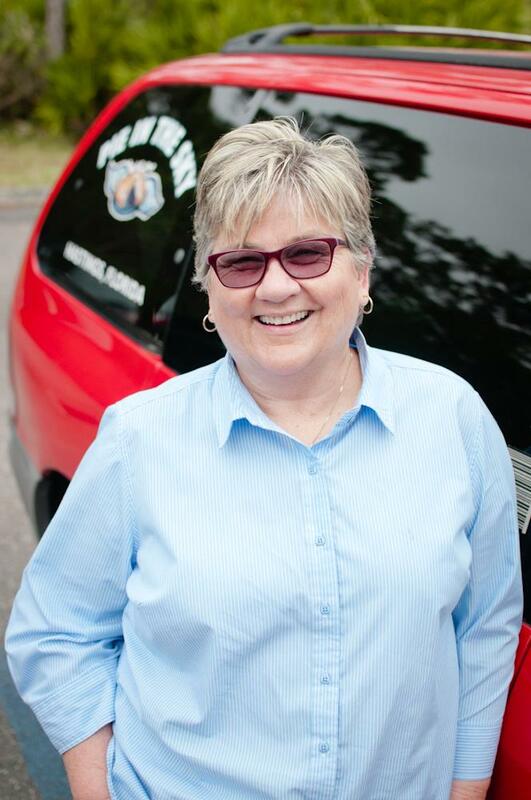 Her passion for helping those in Hastings and surrounding area is infectious! As PIE evolved to the programs today, I have gone the path. Seeing the smiles and anticipation of those waiting for their delivery of fresh produce and listening how their lives and health are better is rewarding and enriches my life. Working with the people PIE continues to help is truly God’s call. Why Pie in the Sky? It's not just an organization, in my mind and heart I know it's a movement. A grassroots movement not only helping locally and daily but spreading awareness and hope beyond just our community..... every time someone hears of Pie, reads an article, sees a video or picture, donates-- we've spread not only our mission but shown others what's needed and what's possible. In my spare time, I like to spend time with my family, kitties and friends and I enjoy playing piano, cooking, traveling, walking on the beach. I am inspired by everyday people who rise above their own struggles to lift others. I am involved in non-profit work because I enjoy being of service to society. It gives me a sense of purpose to work with others who believe in the mission of our organization and who are passionate about making a difference in the world and in our community. All farmworkers who labor in the fields to put food on our tables are my heroes. A quirky thing about me is that I am a spelling fanatic. Pie in the Sky highlights a cause I care deeply about. I believe in its mission. I enjoy connecting and interacting with our inspiring Director and our dedicated team of volunteers as well as the seniors we serve. After graduating from Boston University with a degree in Elementary Education, I worked as Teacher and Director of Headstart Preschools throughout western Washington, serving children of migrant and seasonal farmworker families. Later served as VISTA volunteer and fundraiser for the Whatcom Literacy Council in Washington State. ​In my spare time, I like to be outdoors and spending time with my grandchildren. I am inspired by the many young people that I meet who are doing so much good work to make our community and world a better place. I am in nonprofit work because of the giving culture and the nature of the work. People in this field are here to make a difference, not make a fortune. Some of my heroes are the people I work with everyday, doing their thing, following their hearts, not making a big deal about it. One quirky thing about me is that I refuse to use a smart phone or any other "smart" technology. Pie in the Sky is such a basic concept - feed people, help people, it's so organic and simple. And Malea has managed to continue the mission of Pie no matter what resources are available or not. My background is in community service. I have lived and worked in St. Johns County for nearly 30 years, always working with children and families in some capacity, and now doing administrative work to support the missions of those organizations. What do you like to do in your spare time? Travel, going to the movies, camping, bike riding, taking trail hikes, working in the yard, spending time with friends. What inspires you? God and seeing others give unselfishly of themselves. Why are you in nonprofit work? What emotional reasons? To help others, to give back a little, involvement is something worthwhile. Who is a hero of yours? My husband Steven who has passed away, he could talk to anyone, he loved helping others and could relate to the old and the young, something I always admired about him; and my niece Malea, she gives so unselfishly of herself. What’s something quirky about you? I still think I am 20 in my head. Why Pie in the Sky? Honestly, because my niece is involved and asked me to help, I saw the need in the community. I already do some volunteer work for Ronald McDonald House and although I don't deal with the children directly, there is a lot that needs to be done on the sidelines. Same is true with Pie in the Sky. Background and professional history. I am a Jacksonville native, in the mortgage profession most of my life from Origination to processing and closings. I am now semi retired, work part time still in mortgage work. I was very involved in a community service organization, the Jacksonville Junior Chamber of Commerce for many years and was President back in 1990-91. Seems like a life time ago. I know what effort and commitment it takes to put together an organization that continually helps others as I have done it myself through the Jaycees. I am a Christian, a cancer survivor and a widow. I still count my blessings every day and hope that in some small way I can help others less fortunate. When we began our senior program nearly three years ago, we had four volunteers. And they were all our board members. Granted we only had 12 deliveries. But now that we deliver to 458 seniors in all four corners of the county, we have more than 50 volunteers who graciously donate hundreds of hours of their time each year to prepare and deliver this valuable food to some our most vulnerable citizens. 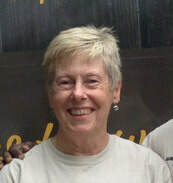 They will tell you they LOVE the work at the warehouse because Program Manager Phyllis Wood makes it so much fun. Then they will tell you all about the seniors on their routes and how much it means to them to be able to deliver to the always grateful seniors. And while of that is true, there is one more truth: and that is that we could not do what we do without each and every one of them. They are so generous with the most valuable gift anyone can give and that is their time and for that gift, all of us at Pie in the Sky are so very thankful.